Bar Code Graphics now offers RFID tag data evaluation and certification services. As retailers are realizing the many benefits by integrating RFID technology, suppliers will need to produce RFID tags and labels that are EPCglobal compliant. Bar Code Graphics has created an RFID testing program that not only complies with the EPCglobal RFID tagging specifications, but also uses hardware and equipment that emulates the same RFID tracking systems in place with top retailers. Certifying RFID tag compliance is critical in order to avoid disruptions and inaccuracies in the retail supply chain. Due to the enhanced item-level inventory visibility, both retailers and suppliers are impacted by inaccurate and faulty RFID tags. Our testing process confirms if a RFID tag can be read and validates the EPC data structure is properly formatted and compliant. As with shipping label certification, it is important suppliers certify RFID tag formats from each individual tagging location. To satisfy immediate retailer requests, many suppliers are currently RFID tagging items in a distribution environment. Once the demand for RFID tags increases and reaches a tipping point, many suppliers will move this process closer to source so they can internally realize the benefits of item level RFID tagging. Since the early 2000’s, the push for RFID technology has steadily increased and there are many hardware and software solution providers which implementation experience for closed system applications. 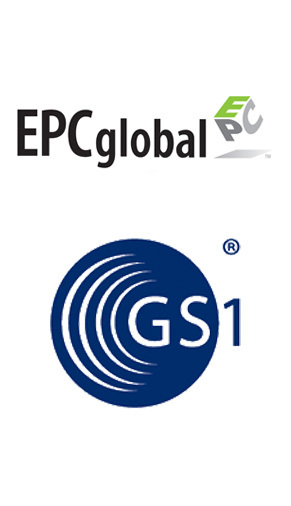 It is only until recently that item level RFID tagging using EPCglobal standards has gained popularity. Many of the RFID solution providers are now just getting experience with the retail mandates and suppliers need to be assured the RFID tags they provide will be globally compliant. Bar Code Graphics is a GS1 Solution Partner and the largest North American barcode testing center for POS and shipping labels. Unlike problem barcode related issues, RFID tag and data accuracy issues will be very difficult to identify in the supply chain and on the retail floor. Consequently, both the retailer and supplier will be impacted by inadequate inventory accountability when non-compliant or unreadable RFID tags are produced. Certification provides a foundation for quality and process control. The cost for RFID Tag & Data evaluation is $75.00 per format. Turnaround time is 3 business days from receipt. Please use the link to the right to access the necessary Submission Form. Please feel free to call us at 800-662-0701 x340 or test@barcode-us.com.